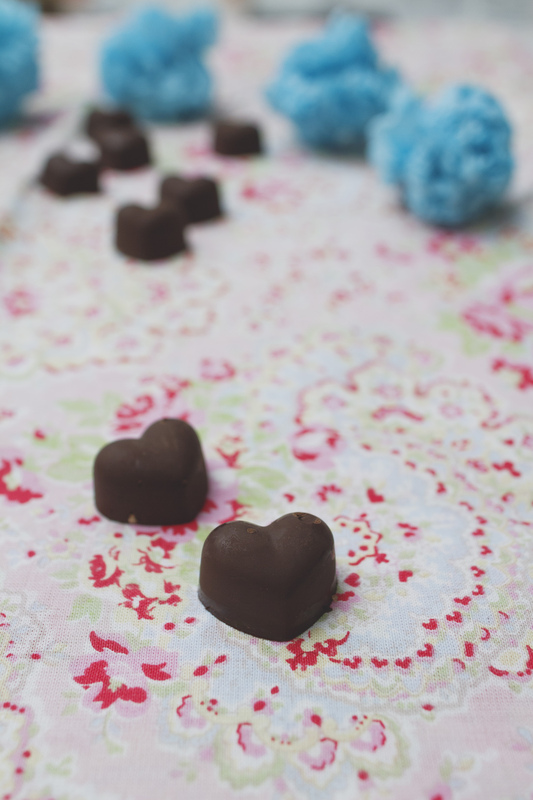 Peanut Butter Chocolate Hearts – who needs Reese’s?! Before living in the US, I never understood the country’s obsession with peanut butter. Three years later, and I have turned into a peanut butter ADDICT. It goes that far, that I would crack open a Reese’s Cup, eat out the peanut butter piece and throw out the chocolate – as let’s face it, the chocolate isn’t really great. 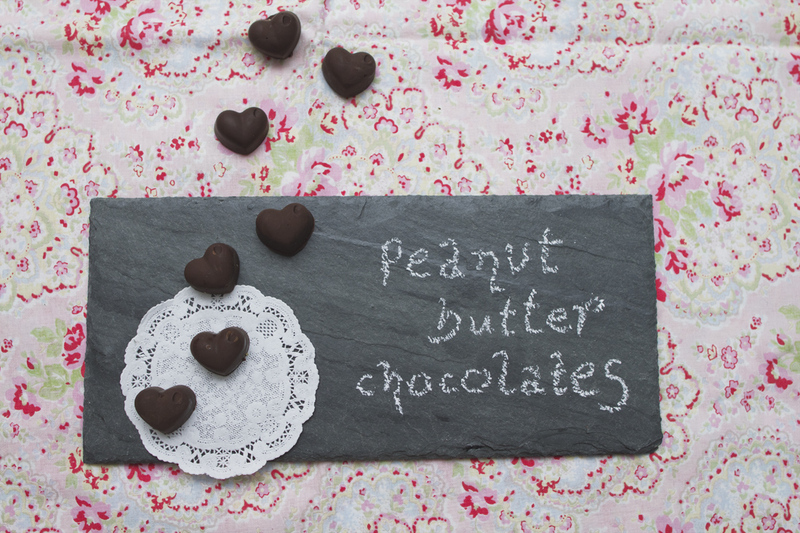 So why go through the hassle if I can have great tasting peanut butter chocolate treats? 1. Melt the chocolate. I melted the chocolate in a water bath, i.e. I put the chocolate in a small bowl and then put the bowl into a bigger bowl filled with water. Put all of this on the stove and heat up the water which will then heat up the small bowl and melt the chocolate. 2. 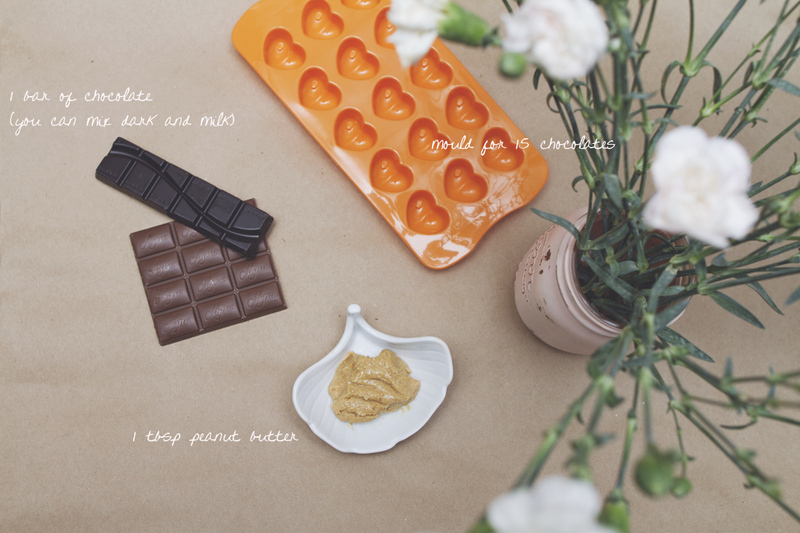 Fill in the moulds 1/3 way with chocolate. 3. Add a drop of peanut butter into every mould. 4. Cover the rest with chocolate again. Posted in Little TreatsTagged all things chocolate, all things sweets, chocolate, chocolate ideas, chocolate recipes, chocolate treats, dessert ideas, homemade, homemade chocolate, homemade food, I love chocolate, Reeses, sweet things, sweet treats, sweettooth, trufflesBookmark the permalink.